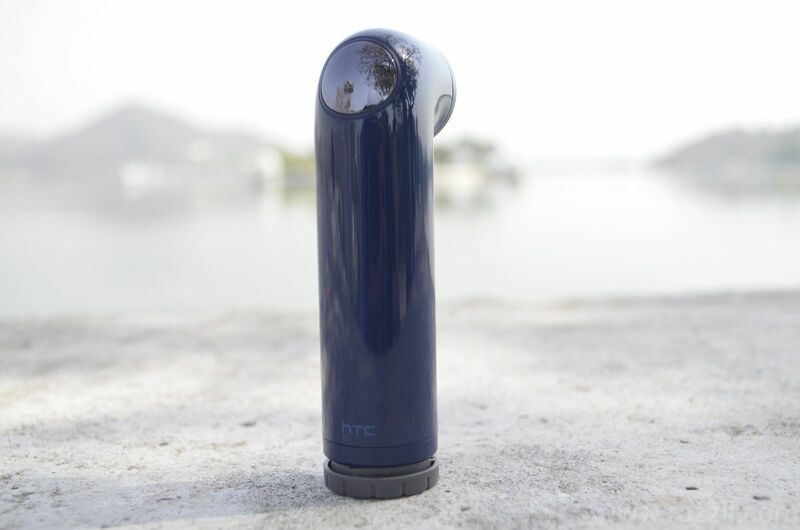 HTC Re Camera is a little portable action camera designed by HTC. The Re Camera fall in the action camera with indirect competition with GoPro Hero Cameras. The action cameras has a very good advantage over the DSLR or point-shoot camera, You can use it anywhere without worrying about it about dust, water and fall. Action camera comes with durability. 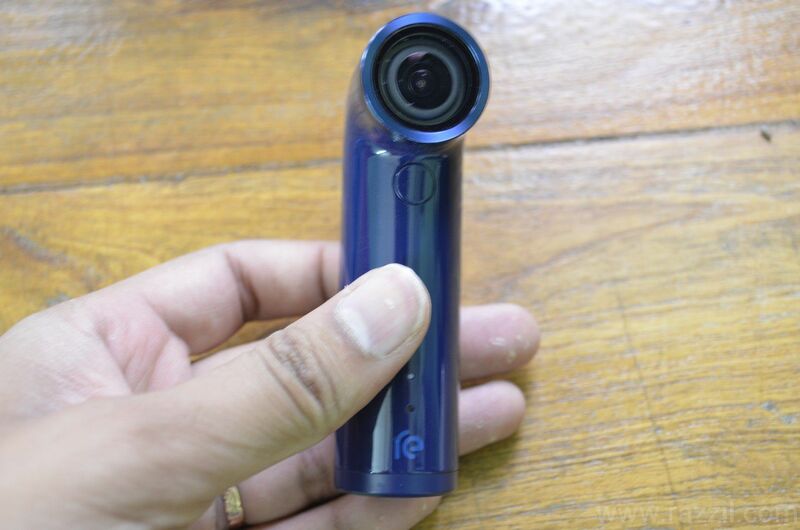 Here is my review on HTC Re Camera – The HTC takes on action camera. Re Camera has tubular design look like Periscope or Asthma pump. The Top is equipped with a camera lens. The device has only two buttons, one for capturing photo & video and the second one is for Slo-Mo video. The body has a sensor and when you grip the device, it’ll instantly turn on the device on pickup. The camera also has a gyroscope that can detect the device position and it’ll automatically rotate the resulting image. The camera is 26.5 mm in diameter and 96.7 mm in height. The camera weight only 66.5 grams. So it’s very easy to carry around and easily fit in your pocket. Just like GoPro, HTC Re Camera comes with a Re app for both Android and iOS. The app is not restricted to htc device, but any smartphone out there. Just download the app from Google Play store and pair it with Re. To connect the Re with the phone, you need both Bluetooth & Wi-Fi. I guess, the Bluetooth LE is always enabled in Re and they’re using Bluetooth to toggle the Wi-Fi. From the app, you can view the photos stored in Re and can share, download or delete the photos/videos straight from the app. 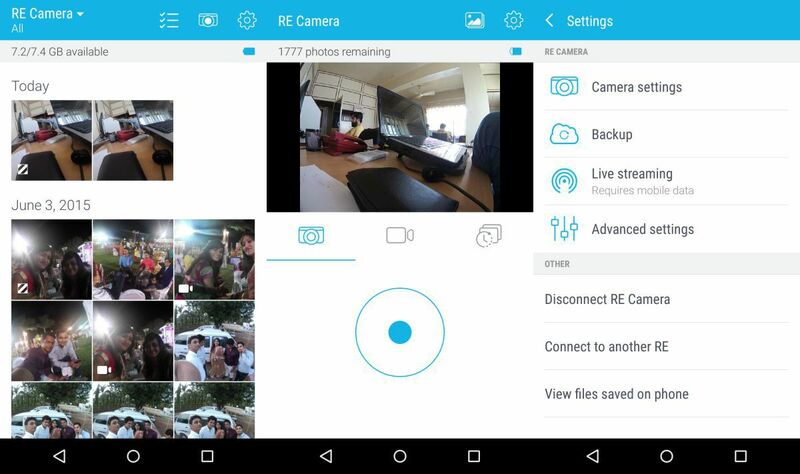 Another important feature of Re Camera is you can auto backup the photos from Re Camera and store it in your phone storage or upload it directly to cloud storage. 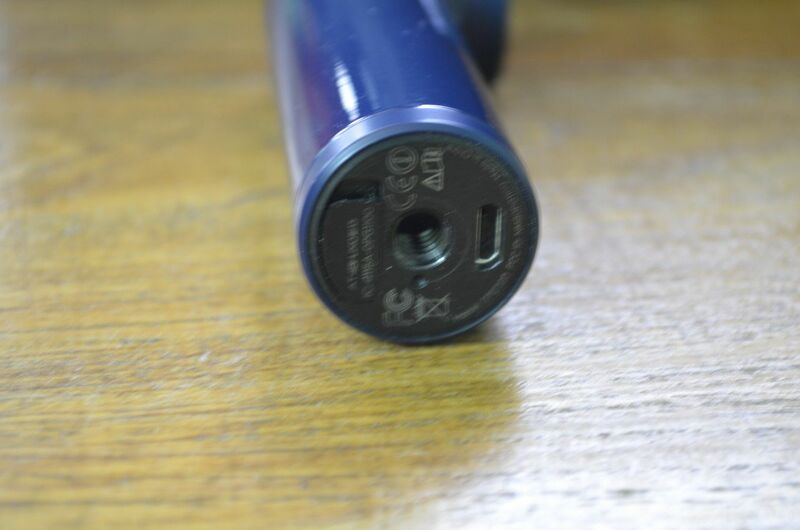 The Backup will only start when you put the Re on power supply and your phone screen in turn off. The app will also auto merge the timelapse photos into video. HTC Re took a decent shot in daylight, the resulting image size is around 4592 x 3456 resolution, which is good enough for any large screen TV. The final image shot from the Re is crisp, clear, accurate, but a bit over exposed to direct sunlight. The RE Camera has 16 MP 1/2.3″ CMOS sensor with Ultra wide angle 146° lens with an aperture of f/2.8. You need a mobile app to trigger & control the time lapse. No way to do it from the device itself. The low-light performance is very poor and you shouldn’t use where light is really low. Often resulting photo contains high noise. Also, you should be stead at the time of capturing a photo otherwise you’ll get blurry shot. Wide angle really helps as you don’t need to adjust the frame, just point the camera towards the subject and press the shutter button. Wide angle also very helpful in group shots. Video quality is nice, but lack FPS. Video quality is sharp, crisp and color, exposure is very good. Though the image is not as smooth because the FPS number is very low. Wish they released the product with Full HD with 60 fps. Anyways, the videos are good and can directly share on social networking sites. No post production is required. The battery life depends on usage, if you’re just taking photos, then it can take you to the whole day where you can snap around 50-60 photos. But video, the unit will die in just 4-5 hours. At Gionee S7 launch, the Re survives the 15 hours, which includes photos, underwater videos & slo mo. The Re will be always in standby mode unless you manually power off with the help of mobile app. Unfortunately, no such buttons on device, you need an app. 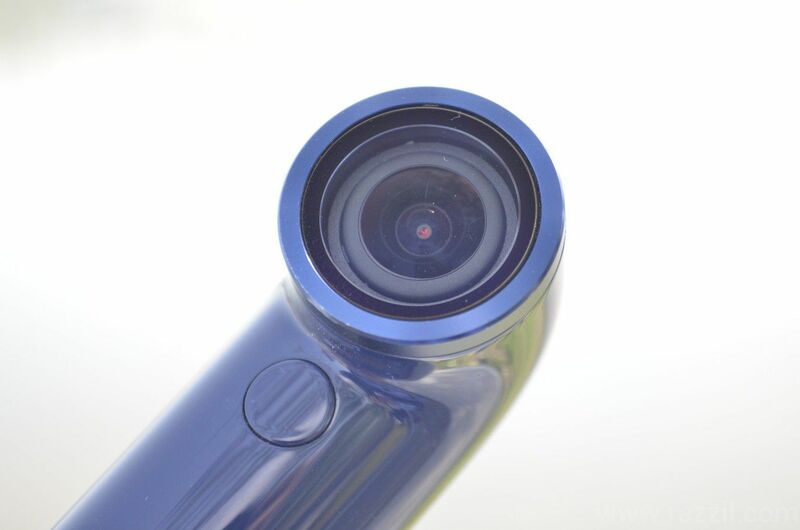 The HTC Re Camera bridge the gap between personal & action camera. 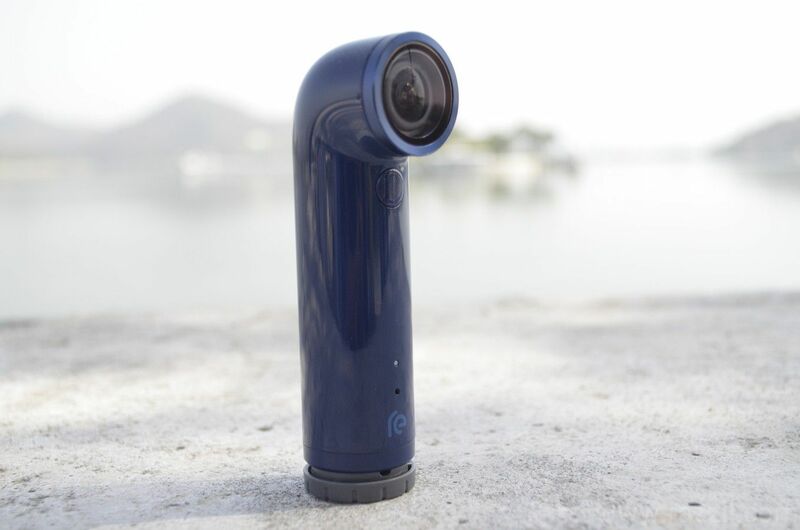 The Re Camera is for those who want a bit of action in personal life, but unable to perform tasks like professionals. It’s not built for professionals, but for family who live together and want a little action in their life. When it comes to price, HTC Re is priced at Rs. 10,999 which is pretty good and affordable for the middle class family. The price is actually less than the GoPro. 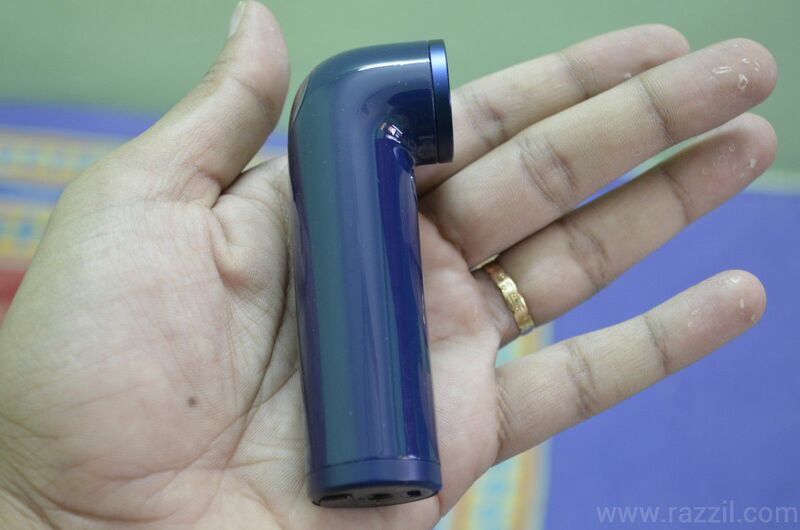 In India, HTC managed to bring only White & Blue color, wish the orange color would be available. For me, it’s fantastic device, It just gives the breathing space to my Smartphone and for capturing the quick action, the Re did the job superbly.